Our very own Hermann Plank brought Awakening Charms all the way from Colombia to PHXFW’s Style Villa to help a cause. Watch this piece by Christian Acosta. While you’re at it, check out these great pics on our Facebook from the event! Synthesizing their creative knowledge and artistic abilities, mother-daughter designers, Patricia and Lisa Glotfelter of Phoenix make a unique team of their own with creative fashion line, Style’ Noel. Inspiration for Style’ Noel originated with the birth of designer, Lisa Glotfelter’s first son, Style’ Noel; “Style’” standing for style, and “Noel” meaning first. Designer mom, Patricia, finds her inspirational sources within the female role models in her life, including her grandmother, mother and design partner-daughter, Lisa. The designing duo has experience within the industry to back up their line, too. Both Patricia and Lisa embody creative energy within their professional interests as fashion designers, and have non-professional interests in beauty, art, reading and, of course, fashion. Their previous experience in fashion is made up of a long list of known fashion coordinators of photography, illustrations, artists, videographers, and retail buyers and sellers. Style’ Noel stands to embrace the female experience, aiming to inspire women to be confidently comfortable within their own skin, and allowing them to feel beautiful inside and out. Article written by Christina Silvestri for Phoenix Fashion Week. Every girl has a simple little black dress or LBD in her closet. For the holidays, it can be your go to piece when you are in a crunch for time and money. Make your outfit special by spicing it up with unique, chunky accessories and black heels. For a budget friendly look, shop fashionable sites such as Forever 21 or Topshop. This $80 Topshop dress has a very wearable shape and can be paired with cheap-chic jewelry from Forever 21 and H&M. For more coverage, pair it with some black tights and a fitted blazer. Tip: To make this piece a wardrobe staple, make sure it fits and flatters your body type. This affordable Flower and Sunburst Collar Necklace from Forever 21 would pair perfectly with your budget friendly LBD look. Another trend that never fails to impress during the holidays is shine and sequins. Adding sequins to any outfit provides instant glam and fun, which is perfect when running to holiday parties, especially New Years. 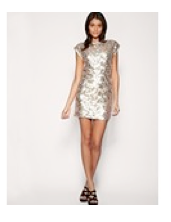 This $41 TFNC sequin dress with keyhole back from asos.com is the perfect addition to any girl’s closet and is another great budget friendly, go to outfit for the holidays. Consider pairing your sequin dress with some black opaque tights, black stilettos and simple diamond stud earrings to make a statement at any holiday party! 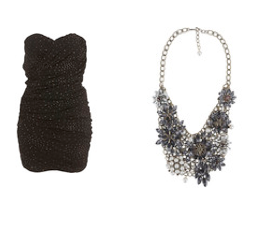 Tip: Sequin pieces speak for themselves and therefore, require very few accessories to complete the look. This is a fabulous plus for “recessionistas” looking to save where you can! Lace is totally on trend this season and what better time to try it than during the holidays! This lace pencil skirt from WetSeal is only $22 and perfect for your favorite holiday soiree. Wear this with your favorite neutral silk top and a great pair of heels for a pop of color. Tip: For an easy office to party transition, pair with a basic blazer and kitten heels. Pair your lace skirt with these fabulous cobalt blue peep toe platforms from Charlotte Russe for only $33 to glam up your holiday look! Thanks for reading our article on affordable holiday outfits! To take advantage of our suggestions…Phoenix New Times 2009 Best of Phoenix Winner! Pink House Boutique is offering $10 OFF their beautiful NYE Cocktail Dresses. Simply print this article and bring it in to Pink House Boutique and save $10 today. | (623) 298-4766 | http://www.pinkhousetreasures.com. Fashionably Pink Charity Runway Show featuring fashionable celebs!! “Here comes the bride, all dressed in white,” is a tune every little girl can giddily recite from the first moment she discovers the magic in weddings and marriage. While every little girl grows up envisioning their perfect wedding, every woman knows the real magic is in the perfect wedding dress. Women today can choose from high-end designers to local bridal boutiques. But here in Phoenix, there’s one line of bridal couture that separates itself from all others, drawing its inspiration from the elements in an English garden. “The dream of creating a wedding gown that was unique and different,” Sim and Jeanne Hankerson, Designers of SJ Couture, said about what inspired them to create a bridal line. The line can be described as exquisite, luxurious and whimsical, offering any type of bride, traditional and non-traditional, their dream wedding gown on the special day. Though SJ Couture is still young to the fashion world, its daring and creative designers know exactly the type of women who are made for SJ Couture. “An independent, confident woman who embraces her femininity” is the ultimate SJ Couture bride, according to the Hankersons. While the Hankersons speculate on expanding into fine bridal footwear, they plan on increasing development to a more global scale. Fashion meccas, like New York and Paris, will soon be seeing SJ Couture in their storefronts. For now, though, the excitement of debuting at this year’s Phoenix Fashion Week will prove possibilities of future fashion weeks to come. 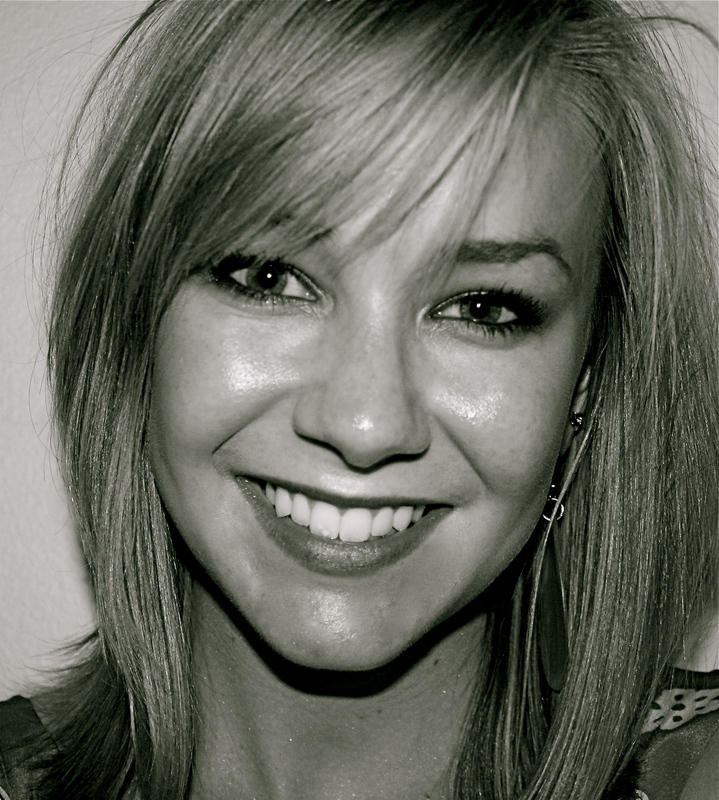 You will be able to meet Sim and Jeanne Hankerson and experience their collection on the emerging designer runway during Phoenix Fashion Week, October 7 – 9, 2010. As Phoenix Fashion Week approaches, we at PHXFW are skillfully working, packing, styling and learning 24/7 in order to organize the most memorable fashion week thus far. My job, and the job of our wonderful PHXFW writers and staff, is to make sure YOU are in the know about what PHXFW is doing around the state leading up to the big event. Mondays, Wednesdays and Fridays, PHXFW will publish articles related to this year’s emerging and established designers, sponsors and events. Thursdays, PHXFW will publish articles by our Style team detailing the newest trends and styles right now. Saturdays, PHXFW’s Designers and Buyers and PHXFW’s Education team will publish the latest information and tips to those working in the fashion world. If you’re not subscribed to PHXFW yet, look to the right column of any page and click, “I want more PHXFW!” to get email notifications when new articles are published. Also coming soon: PHXFW’s emerging model list!